There’s nothing worse that getting into the mix and trying to make the ADR sound like the room the actors are in. Unless you have a cold. Then it’s worse. Don’t have a cold. Still, even healthy, it’s a pain. Sometimes you get lucky with a reverb preset and an EQ, but most of the time it’s work. Not pleasant work. Enter Impulse Responses. No. That’s Impulse Engines. They require fusion. IRs require ingenuity. We show you how here – phasers on stun. 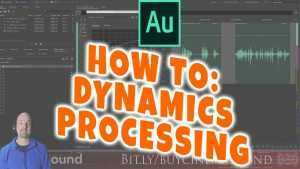 Adobe Audition’s Surround Convolution Reverb uses IRs to get a KILLER sound. Imagine life casting. You need the actual contour and texture of someone’s face. You drop them in a mold, and a few minutes later, BAMM. You have a negative of their face which you can turn into anything. Impulse Responses are the same kind of thing, only for audio. The process entails running a full spectrum sound from a set of speakers and receiving that sound on a microphone (or more). What you get is a recording of what the room is doing to the sound as it bounces around. Clever software removes the full spectrum sound, and you’re left with just the room reflections. Nice. Why is that important? Because an impulse response generator or plug-in can easily take that recording and map it into something that a convolution reverb can recreate. Using a sweep is best, but deep claps work well too. Stand in the position where the actors were generally saying their lines, point your hyper cardioid toward yourself or position your Lavalier where are the actors mouths were. Cup your hands and clap them. Try to get as much bass response out of your clap as possible. Be careful with your recording level as a clap near microphones is a VERY transient event, and you can easily distort your recording. 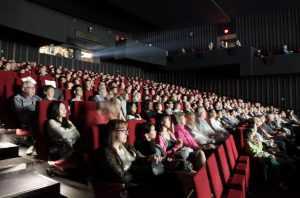 Clap three times allowing at least five seconds between each clap or the length of time it takes the reverb to tail. Whichever is longer. Ignore the crazy looks of the crew. Now, you have a recording of a clap. Go home. Have a beer. Get eight hours of sleep. The next morning after you’ve had some Captain Crunch, open your favorite audio editing program and chop off any part of your room tone recording up to the beginning of your clap. The audio file we are going to create as an impulse response must begin at the first sample of your clap. Then, chop off any additional claps from the end of your file. Save this file in the manner allowed in your audio editing program so that you only have an audio file with a clap and a reverb tail. No less fidelity than 48 kHz, 24 bit. 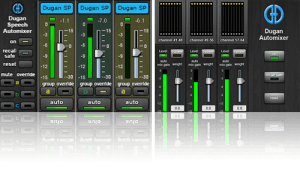 Lastly, load your favorite convolution reverb plug-in. If it is worth its salt, it will have a “load” button or something which allows you to load impulse responses. Load this audio file, and you should have a beautiful representation of the room in which you clapped your hands. You shouldn’t need fancy sweeps or speakers. For our purposes a clap should do quite well. Ideally, you have recorded a stereo – X/Y mic – recording, but it’s not required. Good convolution reverts can take even a monophonic impulse response and calculate excellent stereo wits and even surround immersion. Waves IR plugin creates a killer reproduction of your IR in Post. shot– and re-create them in Post. As long as your mixer has a convolution reverb, he or she will be able to re-create your rooms for ADR, room tone, ambiences and anything else they desire. 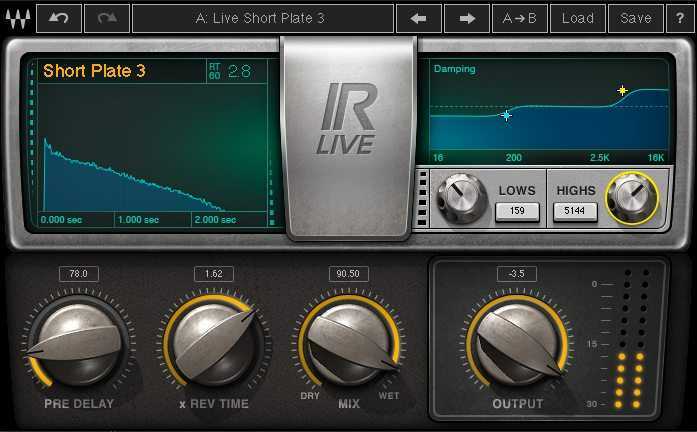 Notice that your beautifully recorded IR can now also be used in your de-reverb plugins (like Zynaptec’s Unveil or iZotope’s De-Reverb) to much more accurately be the “learning” files which have said programs cunningly remove the reverb from the room for on-set DX. The post guys will think you are a god. Being able to drop a couple of files into a convolution reverb to recreate the sound of a set is like love on a stick. Invaluable. And with modern reverb plugins and recording techniques we can do this with a clap, processed sugar and maybe a fried egg. See what you think and let us know, or Tweet about it!